This Lladro piece is a porcelain figurine of a young girl dressed in a beautiful pink dress with a white collar and a pastel blue sash. In both arms she carries a pair of floppy-eared puppies, whos adorable faces harmonise with the expression of the girl. 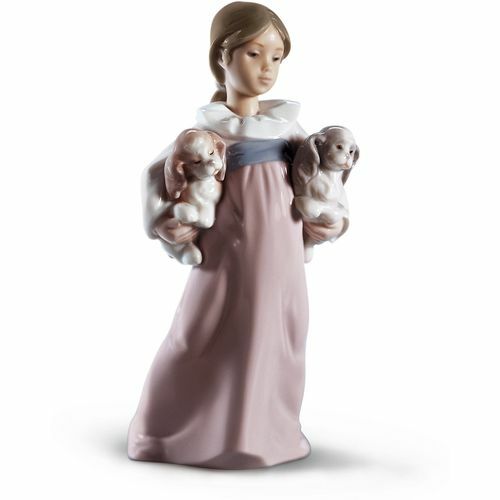 Ideal as a gift or keepsake for your family or loved one, perhaps with a young girl and puppies of their own.